Jean Dixon Mair was born 25 February 1887, daughter of W. Mair, joiner and cartwright. Family home at Rose Cottage, Whauphill, Wigtownshire, Scotland. 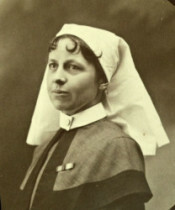 Trained as a nurse in Manchester 1909-1912. 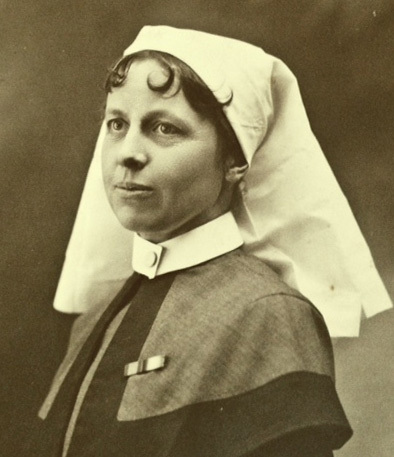 Staff Nurse, Queen Alexandra’s Imperial Military Nursing Service. Known to have married after her demobilisation in 1919, though married name unknown. Jean Dixon Mair married Blondel Rhys Bevan Jones at St George’s Church, Hanover Square, London in 1919. He had been 2/Lt in S Wales Borderers and later Capt in 31st Bn Machine Gun Corps. He was awarded an MC and details can be read here in the London Gazette of 1 February 1919.